Our son is getting married in a few weeks; which is hard to believe that we are counting down to the last few days. This past weekend our daughters’ and I gave a bridal shower for my future daughter-in-law Brianna. We had decided on a late morning for the time and served brunch style food. It was so much fun having this for her. I wish you could have heard the chatter in my kitchen when everyone arrived, we didn’t have too many people invited, but it was so loud with everyone talking and enjoying being together… you couldn’t hear yourself think. 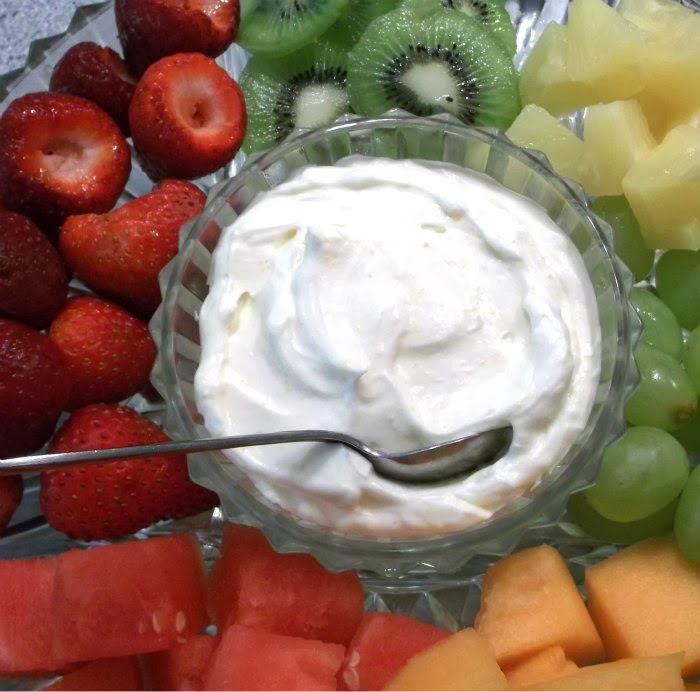 One of the things we served was fresh fruit with an amazing creamy dip. I decided to share this on my blog since it was so simple to make. 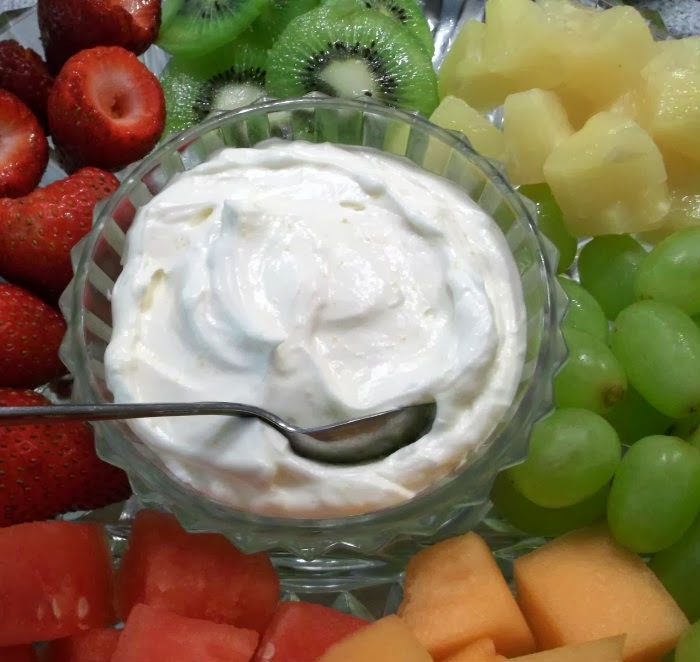 The dip is made with cream cheese, powdered sugar,whipped cream that is beaten with granulated sugar which is then combined together with zest and juice from one orange. 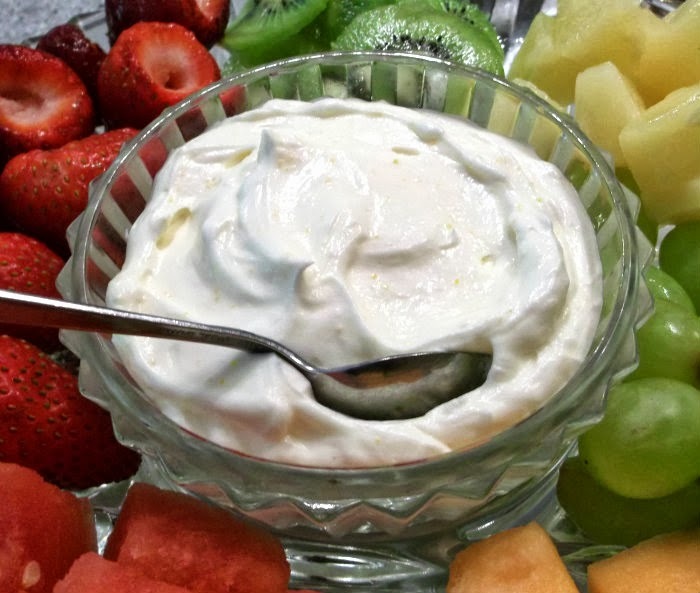 It ends up being a light fluffy dip that compliments the fresh fruit in all the right ways. If you like dip with fresh fruit I highly recommend this one. I used orange for my dip where as the original called for lemon, I am sure the lemon would be equally as yummy, but for me this recipe was calling for the orange. 1. Softened cream cheese and then whip with powder sugar. 2. Whip cream and granulated sugar until soft peak form. 3. Combined beaten cream cheese, whipped cream, orange juice, and zest; continue to beat until light and fluffy. 4. Serve with fresh fruit. How sweet of you and congrats to your son!! It sounds like a lovely shower! This dip would definitely be a hit in my life. Such a fun fruit accompaniment! Congratulations on your son’s upcoming marriage. Gosh, this looks so good! Great with fruit, or even to serve with a brownie. Good stuff – thanks.